Animal testing casts a dark shadow across many of the products that we buy. In fact, over 115 million animals are used every year in “archaic product tests for cosmetics, personal-care products, household cleaning products, and even fruit juices.” In many countries, the number of animals being tested on each year is on the rise or remaining at the same levels as it was in the 80’s and 90’s. In order, the top 10 animal testing countries are the USA, Japan, China, Australia, France, Canada, the UK, Germany, Taiwan, and Brazil. Unfortunately, animal testing is still a common practice. We believe that animal testing, particularly for household and cosmetic products should be stopped. We can all fight the good fight by shopping consciously and only purchasing products that are verified cruelty-free. 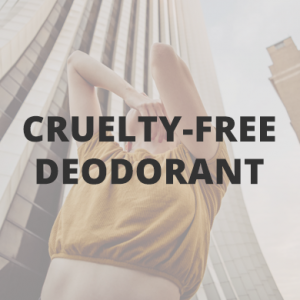 👉 See our list of cruelty-free brands. In the USA, animal testing has been a practice since the 1920’s and in 1938 the Federal Food, Drug, and Cosmetics Act was passed which mandated animal testing to establish the safety of any new drug. Since then, animals have been used for testing new drugs, but also cosmetics, food additives, household cleaning products, and pesticides. Animal tests are intended to establish whether a product or ingredient is safe for public use before allowing it to be sold and have been the prevalent practice of testing products for safety. Even in instances where animal testing isn’t required by law, companies still widely test on animals. As technology has advanced, this has become an outdated and unnecessarily cruel method of establishing safety. The EU, New Zealand, India, Turkey, and Israel have banned animal testing. While these bans on testing are a major step forward, there is still a long way to go. Which animals are used in tests? According to the law, some animals are protected from cruelty while others. This means that animals classified as laboratory animals are deprived of the same rights as pets. 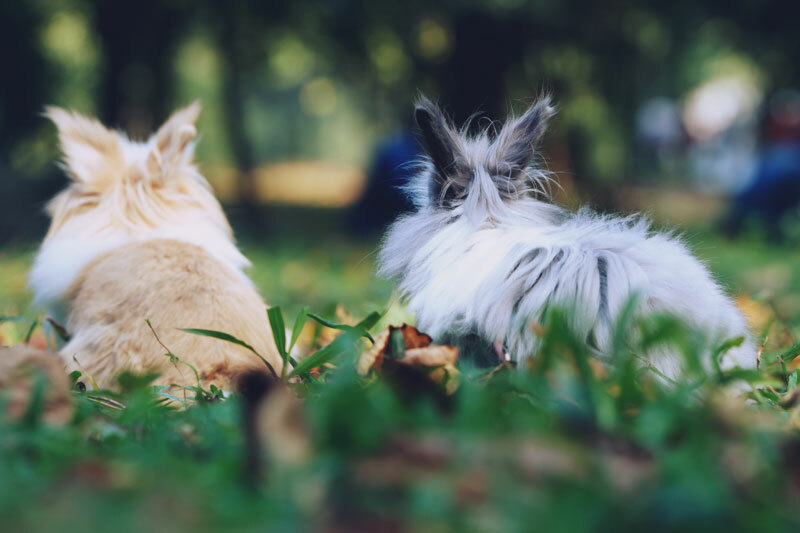 While there is legislation to protect companion animals against cruelty, laboratory animals (including those species that we happily live with as pets such as dogs, cats, rabbits, and mice) do not have any legal protection from cruelty. In the EU, only vertebrate animals (mammals, birds, fish, and amphibians) and some invertebrates such as octopuses, are defined as ‘animals’ under legislation governing animal testing. In the USA, rats, mice, fish, amphibians, and birds aren’t defined as animals, which means that companies don’t need to acquire legal permission in order to experiment on them and these animals are not included in any statistics. Rabbits, guinea pigs, rats, and mice are primarily for cosmetics tests. Dogs are often used for medical research while cats are frequently used in neurological studies. Due to their genetic similarity to humans, non-human primates, such as macaques, baboons, monkeys, and chimpanzees are used for a wide range of experiments such as toxicology, reproduction and xenotransplantation. The end results for the animals being experimented on is often death. Animals used in experiments are often bred in labs or breeding facilities specifically to be tested on which deprives them of their right to live experience a natural life. Some monkeys are still trapped in the wild and then imprisoned in breeding facilities. Their offspring are then exported to labs worldwide. While the use of wild-caught monkeys is banned in the EU, it’s still allowed in other countries. Animals such as horses, sheep, pigs, and cows are generally supplied by dealers. They might have originated from racing stables or farms. The use of stray companion animals like dogs and cats varies by country. There is currently no legal definition of the term “cruelty-free” but, at its most basic, it means that a brand does not test on animals. The finished product is not tested on animals by the company itself or any third parties on its behalf. The company does not purchase raw materials from suppliers who test on animals. The company doesn’t sell in markets in which animal testing is required by law, such as in China. Since this is an unregulated term any company can claim to be cruelty-free despite engaging in animal testing in some form so it really is important to do your own research. Why should I buy cruelty-free products? Buying cruelty-free is one of the most powerful ways to say no to animal testing. By doing so a very clear message is sent to brands that buyers oppose the cruel and inhumane treatment of animals. Moreover, this message is in a language that all companies understand: money. Today, thousands of companies, including even major mainstream ones, have become cruelty-free. This means that it’s easier than ever to transition your products to ones that don’t test on animals, especially as there are some really great products out there that are cruelty-free. Also, brands that avoid animal testing generally tend to also be better for the environment. Many cruelty-free brands are also natural, organic, and environmentally friendly which is better for your health and the planet. Avoiding brands that test on animals not only helps protect animals from unnecessary suffering, it also encourages more conscientious buying habits. This means more thought goes into every purchase which inevitably leads to fewer impulse purchases, minimizing waste, and saving money. Isn’t animal testing necessary for safety? Proponents of animal testing argue that the tests are necessary for human safety, however, this is no longer the case. As technology continues to develop, there are many alternatives to animal testing to ensure that ingredients are safe. Some methods include in-vitro testing, cultured cell tissues, and computer modeling. Also, since companies have been conducting animal tests for decades the scientific community has access to a list of over 7,000 ingredients that are already proven to be safe. Innovating new ingredients, instead of using ones that are already proven to be safe, may support a company’s bottom line but it is in no way necessary. Is cruelty-free the same as vegan? Cruelty-free is different to vegan. Vegan means that there are no animal ingredients or animal bi-products. A brand can be cruelty-free but not vegan, and vice versa. As with all things, it’s important to do research. While a company might claim to be cruelty-free it doesn’t mean that it’s truly cruelty-free. Even if the brand doesn’t itself engage in animal testing, it might be owned by a parent company that does. Ultimately, there’s no right or wrong way to be animal friendly so it’s up to you to decide what you will and won’t accept. There are three main organizations that certify products as cruelty-free: PETA, Leaping Bunny, and Choose Cruelty Free. It’s useful to understand the difference between these three organizations and be able to recognize their respective logos as unfortunately, some products have fake bunny logos on them and therefore may or may not actually be cruelty-free. 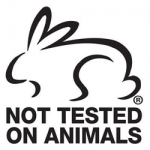 If you’re unsure whether a product is cruelty-free you can make the decision to only buy a product with one of the above bunny logos on it that you’ve visually verified or you can get in touch with the brand directly and ask about their practices. PETA’s cruelty-free directory lists over 3,000 companies but it’s still a good idea to do your own research on any product or brand included in their Beauty Without Bunnies directory, particularly as PETA doesn’t do on-site visits to confirm a company’s commitment to cruelty-free practices. Additionally, PETA does not require a company to re-accredit or re-apply to be included in their cruelty-free database which means that internal policy may have changed, a company might be acquired by a new parent company that tests, or it could begin selling in China which requires testing by law. PETA also doesn’t require companies to provide any proof that their suppliers do not conduct, commission, or pay for tests on animals. The second certifying organization is The Coalition for Consumer Information on Cosmetics’ (CCIC) Leaping Bunny program. Leaping Bunny is an internationally recognized certification program that is supported by a coalition of animal rights organizations worldwide. 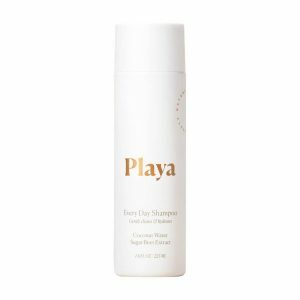 Their cruelty-free program sets strict no animal testing standards, known as their Corporate Standard of Compassion for Animals. This includes a Supplier Monitoring System and mandatory audits to ensure that there is no animal testing anywhere a company’s production chain and requires companies to submit documentation as proof that their suppliers also comply with Leaping Bunny’s standards. Leaping Bunny prohibits applicants from distributing products in markets that require animal testing by law, such as China. 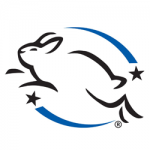 Additionally, brands that receive Leaping Bunny certification must recommit to being cruelty-free annually and may be subject to an audit that ensures they meet Leaping Bunny’s Standard of Compassion for Animals. Leaping Bunny’s directory is smaller than PETA’s and many mainstream brands have not chosen to be certified, however, their Shopping guide does include hundreds of small/medium sized brands and a few larger ones. 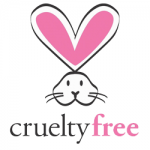 Choose Cruelty Free (CCF) is the third main cruelty-free certifying organization. They are an independent, non-profit based in Australia but you might see products with their cruelty-free logo in North America and Europe. With over 250 accredited brands, their directory is much smaller than PETA’s and Leaping Bunny’s, however, they have different standards. First off, CCF requires brands to sign a legally binding contract that guarantees statements made by the company in respect to animal testing are true. Companies must also provide written statements from all suppliers of raw ingredients stating that any ingredients supplied are not tested on animals. The organization does not accredit brands that are owned or related to a company that is not cruelty-free and they also restrict some uses of animal ingredients. Due to their small size, CCF does not conduct audits but they do require companies to re-certify. 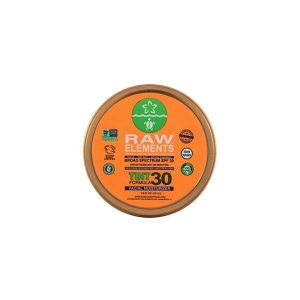 What if a product says its cruelty-free but isn’t certified? 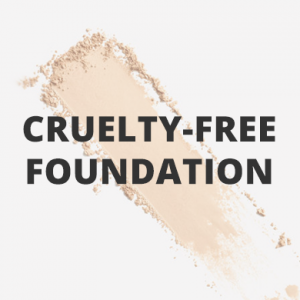 Unfortunately, since the term cruelty-free is not regulated by law any company can say that they are cruelty-free despite being involved with animal testing, in some manner. It’s because of this that organizations like PETA, Leaping Bunny, and Choose Cruelty Free play such an important role – by allowing buyers to check both at a glance, through clear logos, and also in a more in-depth manner through their databases. Nevertheless, some brands that are very small and/or just starting out might not have the resources to obtain certification. If you’re interested in a product that hasn’t been certified be one of the cruelty-free certifying organizations we recommend getting in touch the company directly. Required by law, they test on animals.